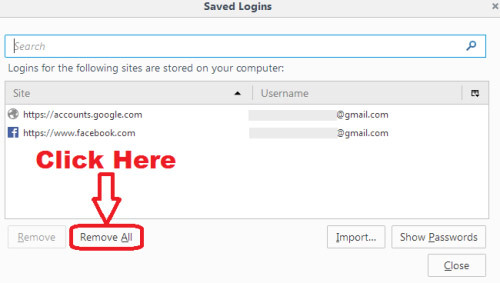 pixel How To Delete Saved/ Stored Passwords in Mozilla Firefox Browser in Hindi ? How To Delete Saved/ Stored Passwords in Mozilla Firefox Browser in Hindi ? 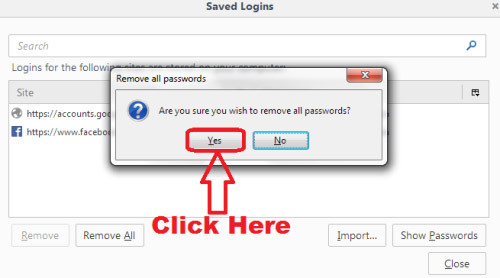 How To Delete Saved/ Stored Passwords in Mozilla Firefox ? 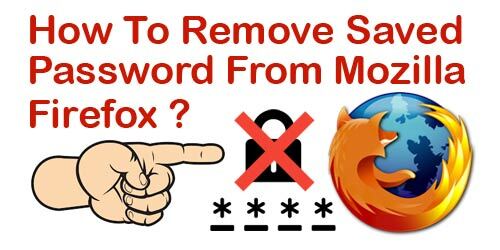 नमस्कार दोस्तों आज के इस पोस्ट में हम आपको Mozilla Firefox Browser में Stored/ Saved Passwords को Delete करना सिखाएँगे ( How To Delete Saved/ Stored Passwords in Mozilla Firefox Browser ). दोस्तों जैसा की आप जानते ही होंगे की इससे पहले वाले पोस्ट में हमने आपको Mozilla Firefox Browser में Saved Passwords को देखना सिखाया था और आज हम आपको इन्ही Saved/ Stored Passwords को Delete करना सिखाएँगे | यदि आपने हमारी उस पोस्ट को अभी तक नहीं पढ़ा है तो आप चाहें तो इस Link पर Click करके पहले उसे पढ़ सकते हैं - How To Check/ View Saved Passwords in Mozilla Firefox Browser in Hindi ? 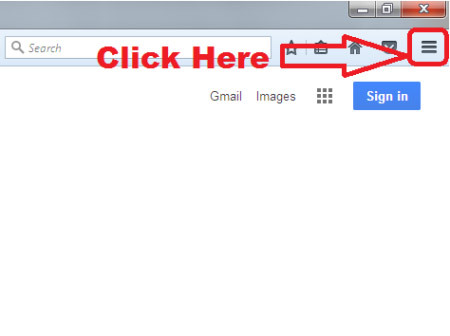 अगर आप Google Chrome Browser में Saved/ Stored Passwords को Delete करना सीखना चाहते हैं तो फिर इस Link पर Click करें - How To Remove/ Delete Saved Passwords From Google Chrome Browser in Hindi ? 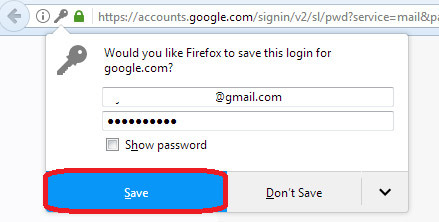 How Mozilla Firefox Browser Save Password ? 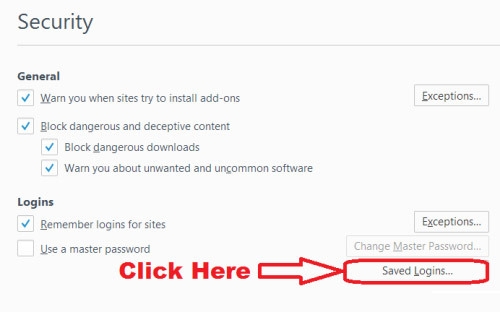 उम्मीद करते हैं की अब आप समझ गए होंगे की - How To Delete Saved/ Stored Password in Mozilla Firefox Browser. 1.) How To Delete/ Clear Download History in Mozilla Firefox Browser in Hindi ? 2.) 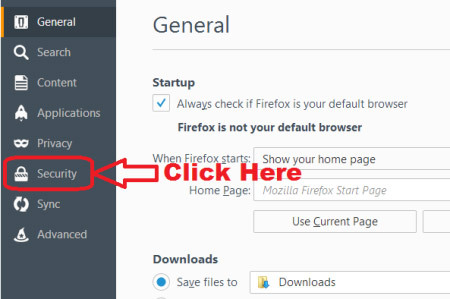 How to Delete/ Remove Multiple/ All Bookmarks from Mozilla Firefox Browser in Hindi ? 3.) 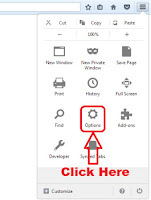 How to Delete Cache and Cookies in Mozilla Firefox Browser in Hindi ? 5.) 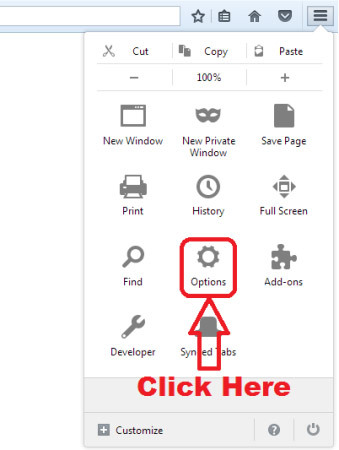 Top 10 Keyboard Shortcuts in Mozilla Firefox Browser That You Should Know !